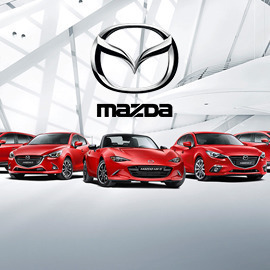 Mazda is a stylish car brand that defies conventional thinking to make things better. They want to inspire, and be inspired. Mazda stands for 3 main things: design, fun driving experience - powered by innovative technology and doing things differently. Mazda owns an event space in the trendy El Born area of Barcelona, called ‘the Mazda Space’. This is a stylish and modern place to host Mazda and non-Mazda related events. Mazda is looking for idea of events, or series of events that will help build fame for the Mazda brand across Europe. The idea is that this event, or series of events, will happen over 60 days and that most of the action will be anchored in ‘the Mazda Space’. There will be a physical interaction and the use of traditional and social media around it. Submit your submissions before 18th October 2015 and win prizes up to €7,500!